This is not another book just about the crazy baby-stage of parenting. Anyone who has ever spent any amount of time around children will enjoy reading this book. I found myself laughing out loud often and reading parts of the book aloud to my husband as well. There are lots of times when I look at my son and just think, "What the heck is going on here?" And since none of us really have a clue, we might as well make up some science for it. Using "very scientific" flow charts, colourful graphs, along with hilarious anecdotes and observations, Norine and Jessica have come up with a number tried and true laws of parenting. Important, real, science that they just don't teach in school. Get ready for some laughs and a big dose of reassurance that it's not just you. We’ve come up with some pretty hilarious theories. 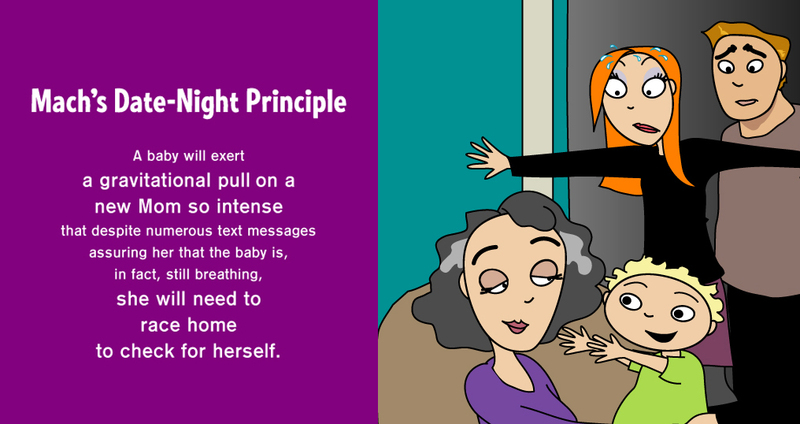 Our book, Science of Parenthood: Thoroughly Unscientific Explanations for Utterly Baffling Parenting Situations, is like our blog … but like our blog on STEROIDS! 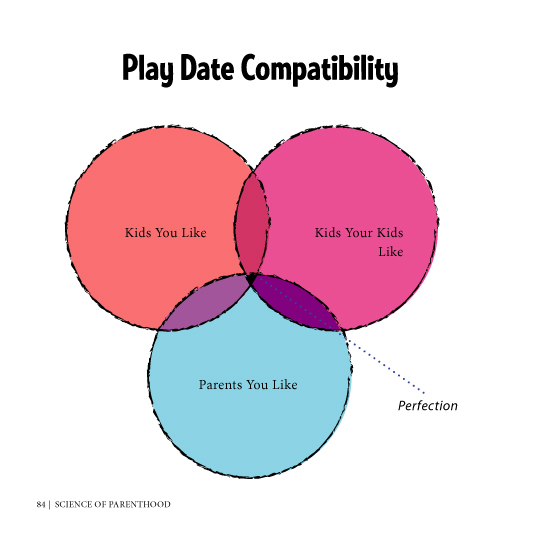 We utilized the blog to road test--perhaps we should say “field test”--material, and now the book contains the kinds of cartoons and writing that fans love to find at Science of Parenthood, along with all new cartoons, infographics, flowcharts pie charts and quizzes that we created just for the book. About 90 percent of the book is brand new material. Divided into four sections--biology, chemistry, physics and mathematics--the book lives in the chasm that exists between our collective hopes and dreams and expectations of what parenting will be like … and the brutal, slap-you-upside-the-head reality of what parenting actually is. We cover all aspects of pregnancy, birth and the hilarious frustrations that come with early childhood (tantrums, picky eating, diaper blowouts, illness, sleep issues, play dates, toy creep, homework battles and encounters with crazy parents (not you, of course, we mean other parents). And you know what? You don’t even need to be a scientist to “get” it. Our goal is just to make parents laugh. 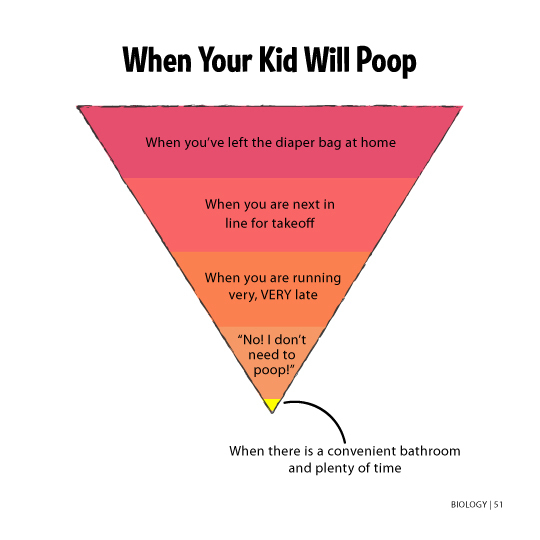 Because when you’re a parent, you NEED to laugh. Humor is a survival tool. After your tot has gotten the top off a jar of Vaseline and smeared every surface within reach--as happened to our friend Gail--or tried to “help” you paint a room and ended up covered in blue paint--as happened to Norine’s sister Shari--you have to laugh. Or you’ll end up sobbing. Or wearing one of those fancy white jackets that buckles up in the back. Why science? Are either of you scientists? 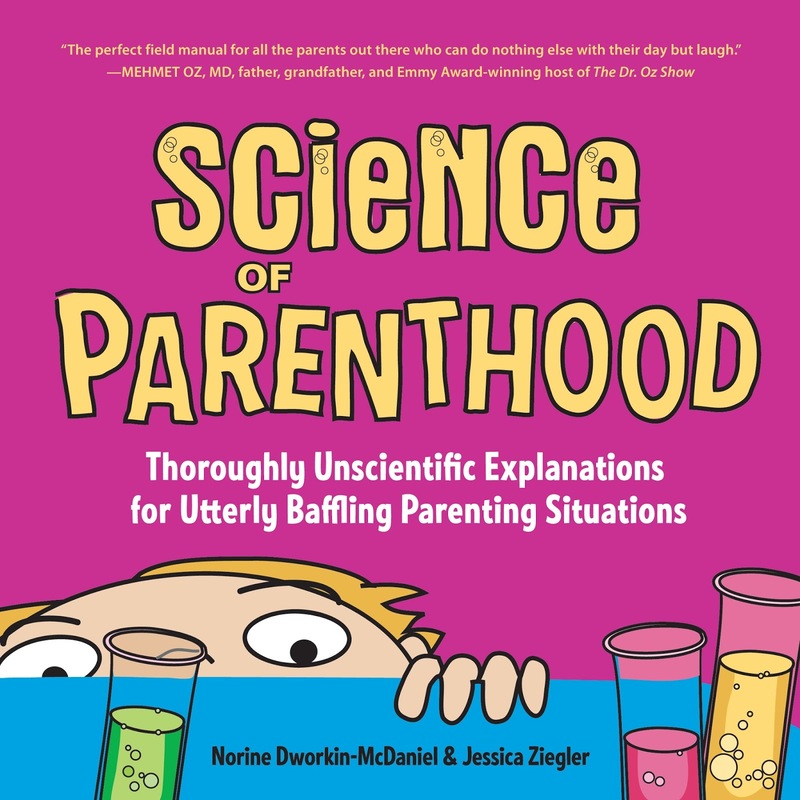 Where did you get the idea for Science of Parenthood? Our “eureka” moment came when Norine’s son, Fletcher, came home from school talking about one of Newton’s laws of force and motion: An object at rest stays at rest unless acted on by an external force. How do you find time to read on your own with kids at home? 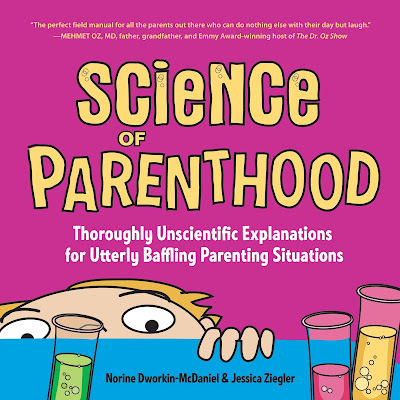 Science of Parenthood is available on Amazon, Chapters Indigo, and other bookstores near you. And you can always find Science of Parenthood on Facebook, Twitter, Pinterest, and Instagram. Norine is the primary writer for Science of Parenthood, the blog, and Science of Parenthood, the book. A longtime freelance magazine writer, Norine’s articles have appeared in just about every women’s magazine you can buy at supermarket checkout as well as on The Huffington Post, Parenting.com, iVillage, Lifescript and Scary Mommy websites. Norine is the co-author of You Know He’s a Keeper…You Know He’s a Loser: Happy Endings and Horror Stories from Real Life Relationships (Perigee), Food Cures (Reader’s Digest) and a contributor to several humor anthologies, including Have Milk, Will Travel: Adventures in Breastfeeding (Demeter Press). She lives with her husband and 9-year-old son in Orlando. The daughter of famed New Yorker cartoonist Jack Ziegler, Jessica is Science of Parenthood’s co-creator, illustrator, web designer and contributing writer. In her “off hours,” Jessica is the director of social web design for VestorLogic and the writer/illustrator of StoryTots, a series of customizable children’s books. Her writing and illustration have been published on The Huffington Post, Vegas.com, InThePowderRoom.com and in Las Vegas Life and Las Vegas Weekly. Jessica was named a 2014 Humor Voice of the Year by BlogHer/SheKnows Media. She lives with her husband and 11-year-old son in Denver. 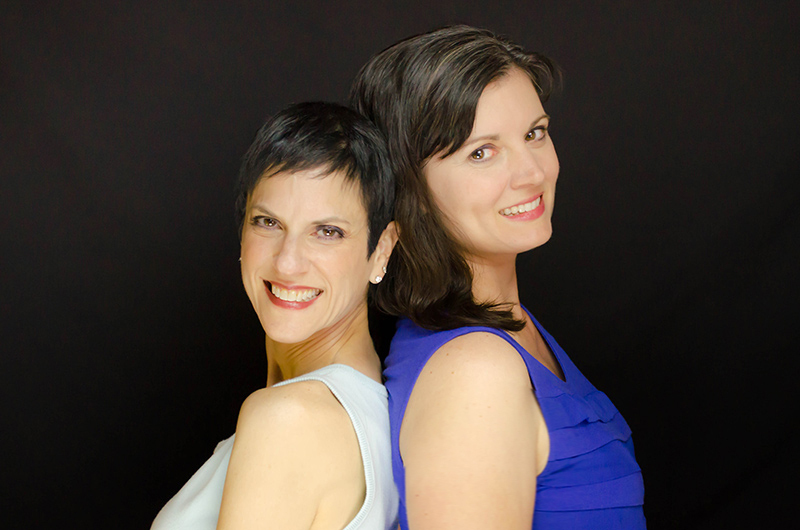 Because Jessica and Norine are such rockstars, they have put together a super fantastic prize package for one lucky winner. This giveaway is open to residents in Canada, the US, and the UK. Good luck!